The government has confirmed £8m funding to improve the ferry link between the Isles of Scilly and the mainland. The European Regional Development Fund is expected to provide the rest of the money for the £10m scheme. 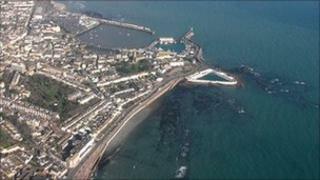 It could result in dredging of the channel at Penzance to take a bigger ferry. Andrew George, Liberal Democrat MP for St Ives, said it was an opportunity to regenerate Penzance and St Mary's. Local Transport Minister Norman Baker, said: "We are putting at least £8m into this scheme which shows that the coalition government is serious about protecting the livelihood of the Isles of Scilly. "Improved terminal buildings will provide better conditions for passengers. "Changes to the harbours themselves will ensure new vessels can still access the port protecting this route for use by residents, freight and holiday makers." The Isles of Scilly Steamship Company (ISSC) which also operates flights to St Mary's from Land's End, has invested £2m into upgrading facilities on board the passenger ferry Scillonian III, which sails to St Mary's from Penzance.